A look at the hurdles still to be overcome for Sevco Scotland to field a team as Rangers. With a competitive fixture against Brechin City looming this Sunday, Sevco Scotland Limited are yet to gain membership of the Scottish FA for Rangers to take to the field in the Ramsdens Cup. Chief executive Charles Green has stated his hope matters will be resolved in the next 24 hours. But what hurdles are still to be overcome? What is the current state of play with Sevco Scotland Limited gaining Rangers’ Scottish FA membership? Talks have been ongoing between the Scottish Football Association and Sevco Scotland over transferring Rangers’ club membership to the new company. One sticking point has been the sanction that the Scottish FA imposed for a breach of the governing body’s rules last season. 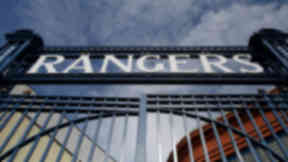 When considering five rule breaches, the Scottish FA-convened Appellate Tribunal imposed fines but also placed a 12-month registration embargo on the Ibrox club. Though not one of the specified sanctions for the offence, the Tribunal said that it considered the penalties available (Scottish Cup suspension, expulsion or suspension from the game) to be too harsh. Rangers disputed the sanction and won a Court of Session ruling to declare it unenforceable and instructed the Tribunal to reconvene and select another sanction. What have Sevco been asked to agree to in order to gain Rangers’ membership? The Scottish FA wanted Rangers to set aside their court ruling and accept the football authority’s sanction. Other options available to Rangers were to accept a new ruling from the Tribunal or to make a new membership application instead of asking for a transfer. However, as a new company, the new application would almost certainly fail. The Scottish FA announced on Friday that it has reached agreement with Sevco Scotland to accept the embargo, albeit on a delayed basis to allow the club to rebuild a squad this summer. It was explained that this acceptance was “as a primary condition of a transfer of membership”. However, Sevco Scotland later denied that agreement had been reached but admitted it would be reluctantly accepted if the alternative was no membership. How are the SPL and the SFL involved? The Scottish Premier league and Scottish Football league have no direct input into the Scottish FA membership process. It has been reported though, that the talks have been all-encompassing to facilitate the entry of Rangers into Division Three. Though not directly related to the membership criteria, it has been reported that the SPL are seeking to have a claim on media rights relating to Rangers next season, despite having rejected the newco application to transfer Rangers’ top-flight share. The SPL are due to pay around £2m each year to the SFL as part of a settlement agreement dating back to the SPL’s creation. With Rangers no longer participating in the SPL, the league’s chief executive Neil Doncaster is working to establish what income can still be relied on from sponsors and TV companies. Are they any other criteria to gain the membership? Agreement with the Scottish FA over the sanctions has been the major stumbling block but other information has to be given. Duff and Phelps, administrators of the old Rangers company, have submitted documents to show that they believe Green and his investors to be “fit and proper”, while Sevco Scotland have to provide business plans and details of their intentions. Don’t Sevco Scotland Limited need four years of accounts to gain a membership? If Sevco were applying for a brand new membership of the Scottish FA, they would need four years of accounts to become an associate member. Participation in the SFL is dependant on being either a full or associate member of the Scottish FA. The difference in this situation is that Sevco are applying to have the old company’s registration transferred to them. As the oldco had submitted historic accounts, with the exception of 2011, the four year rule does not apply. Curiously, the Scottish FA has stated accounts are not required from the oldco for 2011 as the club was fined for failing to provide them. This has been deemed sufficient punishment by the governing body, which is no longer asking for the gap to be filled. Is there a difference between an SFA membership and an SFA licence? Yes, there is a distinct difference between the two. Clubs need to have a membership of the Scottish FA to participate in football in this country. The National Club Licence, issued by the Scottish FA, is separate from the membership. Licensing is used as benchmarking by the governing body for clubs to adhere to certain standards across a range of different criteria. Neither should be confused with the UEFA Club Licence, which uses similar benchmarking criteria which must be met to play in European competition. Is there a deadline this must all be sorted before? It had been reported that Sevco Scotland had 14 days from the date of the SFL granting associate membership of the league to gain membership of the Scottish FA. This is not true. The relevant SFL rule instead states that a club has 14 days to apply for membership, but there is no deadline for the transfer to take place. Can Sevco sign players for Rangers? Without membership of the Scottish FA, Sevco Scotland Limited can give players employment contracts but can not register them with the governing body. If and when membership is granted, they will be able to follow due procedure to register the players to play for Rangers. How did games against Albion Rovers and Airdrie United go ahead without a membership? The two games mentioned were played behind closed doors, essentially making them unofficial games. No games can be played in public without membership of the Scottish FA. Will this be sorted in time for the Brechin City game? What if it isn’t? There are no guarantees the Scottish FA will transfer the membership prior to Sunday’s game in the Ramsdens Cup. If the matter is not resolved prior to then, the game will be postponed and the matter referred to the SFL to decide whether to reschedule or demand a forfeit. There is slight precedent for such an occurrence. 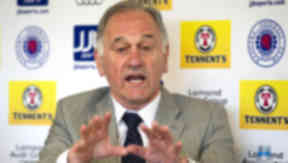 Livingston refused to play a Third Division fixture in 2009 because they did not agree with the SFL’s decision to relegate them from the First Division. Once the matter was resolved, Livingston were fined but were not forced into forfeit. They lost to East Stirlingshire 3-2 in the rearranged game. Why do you keep referring to Sevco Scotland? Sevco Scotland Limited purchased the assets of The Rangers Football Club plc, and took over the contracts of its employees. At present, it does not hold the right to use the Scottish FA membership it purchased. Therefore, STV are continuing to make the clear distinction between “Rangers”, the team which plays football, and Sevco Scotland Limited, which is a company which currently does not operate a football club. Should the Scottish FA transfer Rangers’ membership to Sevco Scotland Limited, there is no longer the necessity to make such a distinction. All future reference would be to Rangers.